Final Fantasy IX is so good. It easily takes the top spot in my list out of the Final Fantasy games I've played so far. Based on my past playthroughs of the later entries in the series I'm fairly sure Final Fantasy IX will stay right near the top from this point forward. Final Fantasy X may give it a run for it's money, but I don't think Final Fantasy XII or Final Fantasy XIII will top it. What makes it so good? Lots. 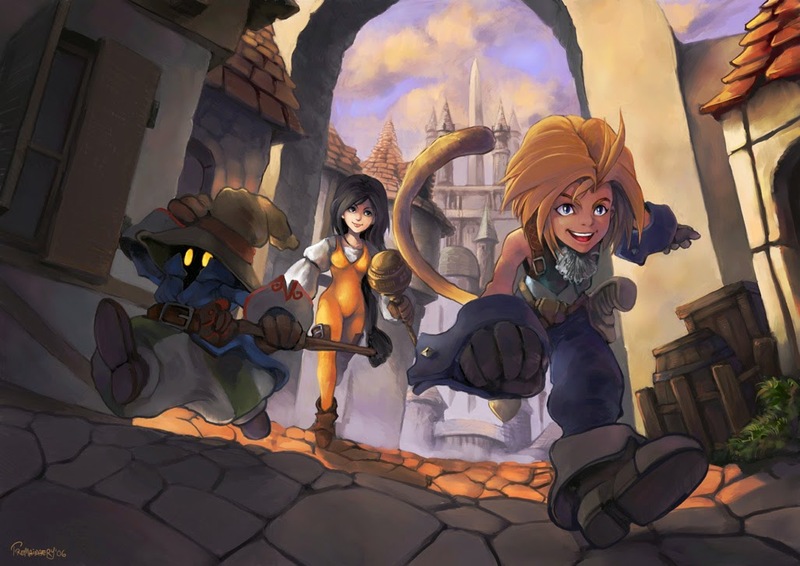 Final Fantasy IX has a fantastic character driven story. The characters organically grow throughout the game and their growth directly impacts the story. Every single playable character ends up a different person because of their actions and experiences in the course of the game. This is a first for the series. Not only is the story character driven, but it unfolds in an organic manner that doesn't feel forced. Characters come together and split apart for understandable reasons and the big "save the world" quest isn't thrust upon the team until the very end of the third disc. The combat is classic. The ATB battle system is in full swing and the four character party feels nostalgic. There is more room to experiment with various character combinations with a four character party than there is with a three character party like we had in the last two games. I also enjoyed the progression of character combat abilities. Getting experience and ability points is a classic and easy solution to character progression. Each character is a pre-defined class and that makes them feel more fully realized than characters from Final Fantasy VII or Final Fantasy VIII. In those two games, each character could easily swap all their abilities with any other character. They had a very generic feel. In Final Fantasy IX each character is unique and has skills that no other character can ever get. I love the cast of Final Fantasy IX. While they're all good, one deserves special mention. Vivi! Vivi is one of the best characters in the entire series. He comes to terms with his own mortality and finds his place in the world through his actions. 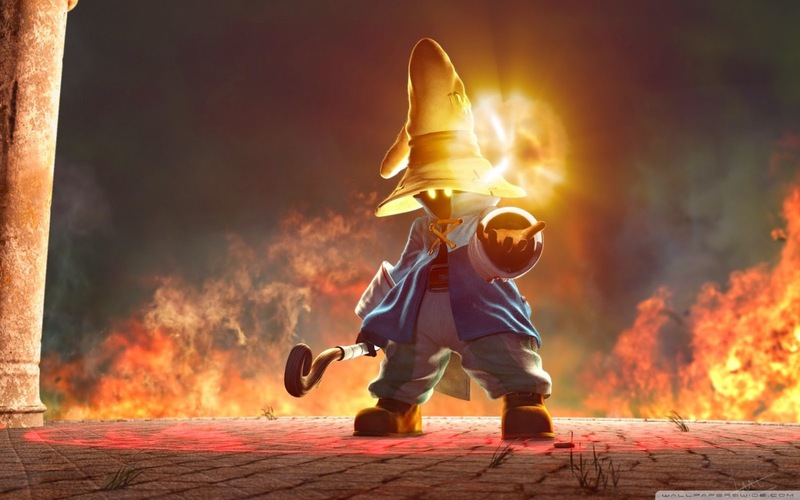 He's the coolest black mage ever. There are a couple problems with the game, but nothing major. I've already written about it a few times, but the combat is just too slow. It needs to be faster. It's probably a result of hardware limitations but it still consistently bugged me. I never got over how slow the battles are. But there are so many other things to love about this game. The story, the music, the world, the characters, the progression, the exploration, the FMVS. I could go on, but you get the idea. I love this game. I highly recommend it. Originally I was turned off by the art style (everything was just so cute), so I didn't play FF9 at first. However, once I did, I fell in love. The characters, the story, the combat were all so great and in many ways better than my other favourites (X and VII). The only think I wasn't crazy about was the card game (I really loved the one in VIII). I love the art style. It's a perfect fit for the PSX. It's stylized enough that the system can handle it and each character has a unique look. I completely understand that some people don't like it, but I latched onto it right away. I'm glad it's one of your favorites! I think it's often overlooked by people who have played a bunch of the series. 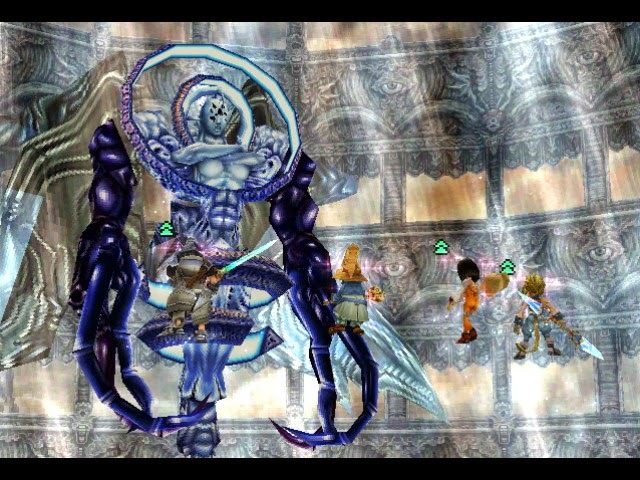 The leap between FFIX and FFX in terms of graphics is huge and I think FFX ended up overshadowing what FFIX had done. I completely agree with you on the card game. FFVIII had such a better card game, and one that actually could have a huge impact on gameplay. I wish they had left the card game out of FFIX altogether.